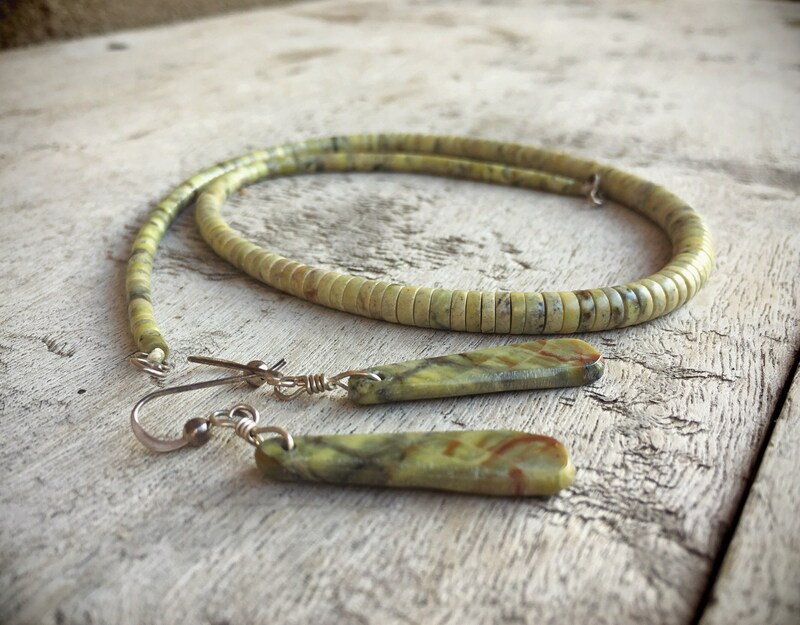 Here we have a simple heishi choker made with beautiful light green serpentine, the earrings made from hand cut and hand shaped slabs. The name "serpentine" comes from the Latin word Serpentinus, which means snake. 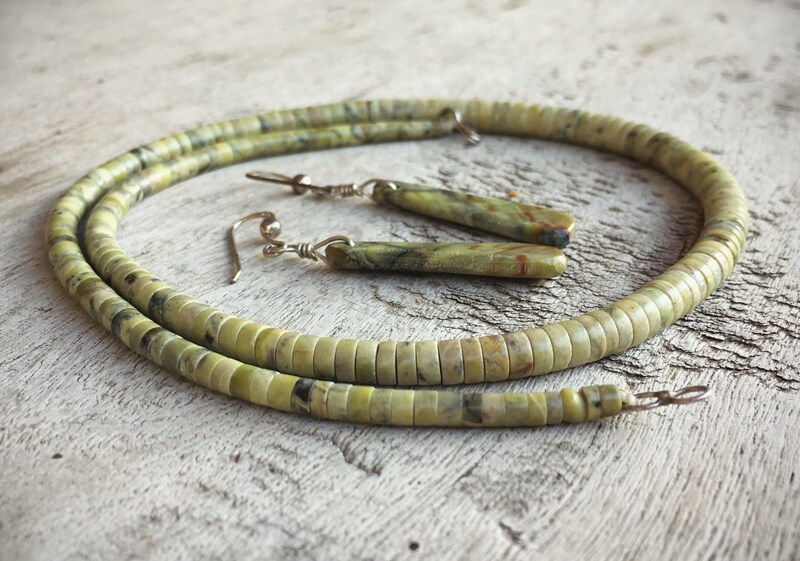 This jewelry set illustrates why this light green-yellow colored stone gets that name, as it resembles the tones of a snake or other reptiles. 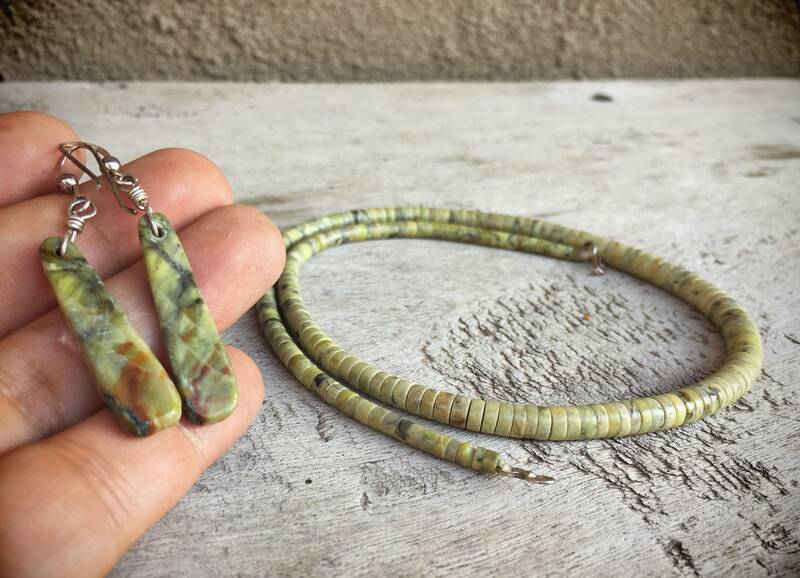 Serpentine is the state rock of California and occurs naturally in several places in the US. 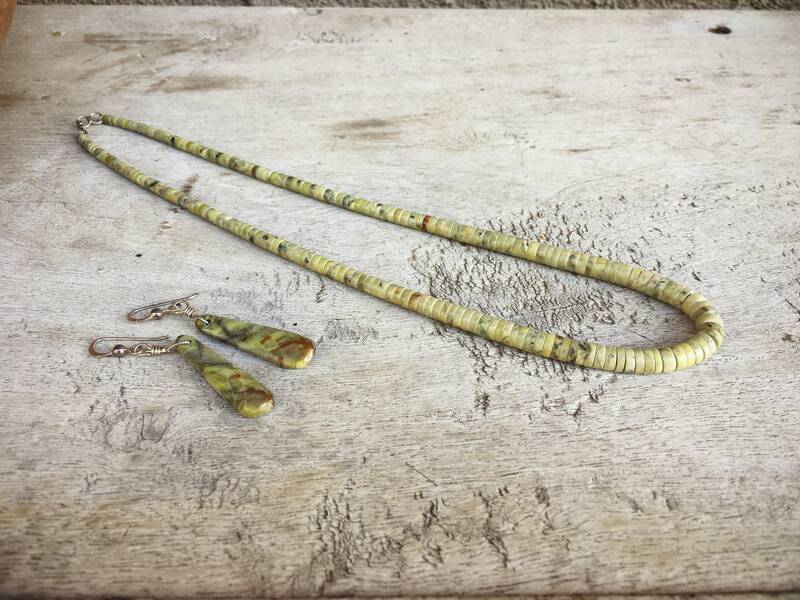 This is an versatile piece that can be layered with turquoise necklaces or worn alone. 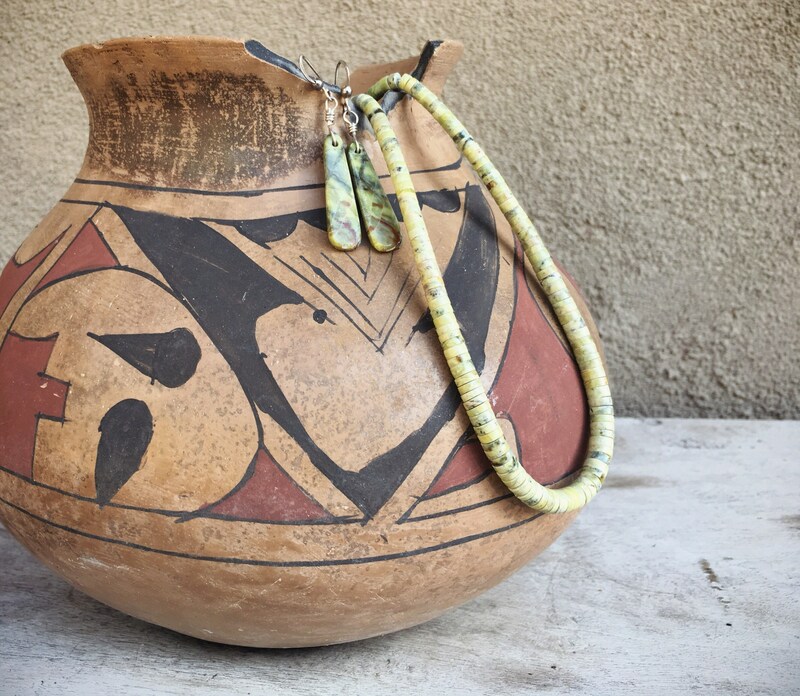 In New Mexico among Native Americans and others, men and women both wear this style of necklace as well as slab earrings. Do check the size of a man's neck, however, before buying. As the piece is not signed, we cannot say with certainty that this is Native American; however, we believe it is Santo Domingo. The strand is measures 18" long, and the heishi discs are graduated with the largest in the center at about 3/8" in diameter and the smallest closer to 1/8" in diameter. The earring slabs are not large, at 1-1/4" long not including ear wire by just over 1/4" wide at the widest point. The earring wires carry small 925 stamps. In good condition.